The February Look Fantastic Beauty Box was VERY speedy to arrive this month. Again this box is no disappointment and showcases 6 incredible beauty treats from well known premium brands. I love these boxes as there are no spoilers beforehand and the packaging and presentation of the products is always consistent. I love it when you’re surprised with a full sized item especially when it’s a brand that you love. 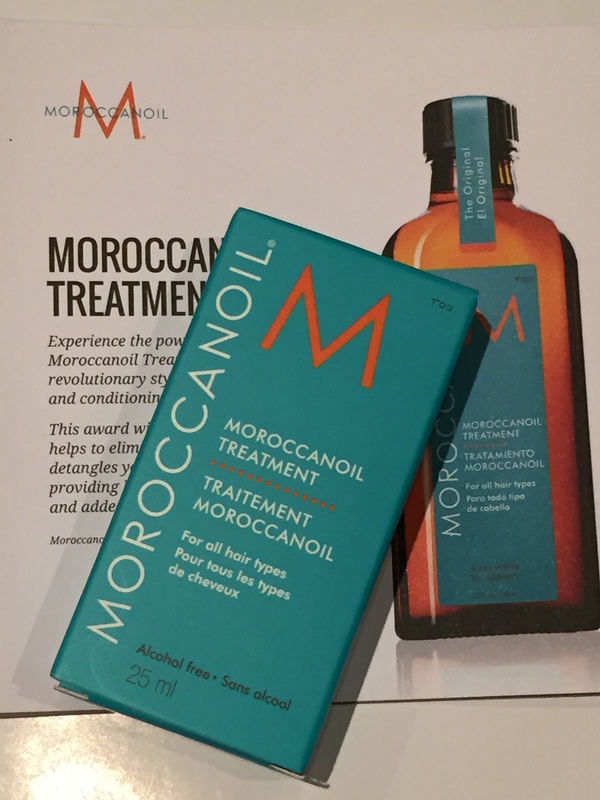 The Moroccan Oil treatment is the product which pioneered oil-infused hair care and created the worldwide buzz on argan oil. It is an essential foundation for hairstyling that can be used as a conditioning, styling and as a finishing tool. A lot goes along way so this bottle will last month’s even when used daily. The oil contains strengthening proteins and shine enhancing vitamins to detangle, speed up drying time and to boost shine and nourishment whilst eliminating frizz. It can be applied on towel dried hair for a sleek blowdry or alternatively add a small amount once hair is dry onto the ends to add a lustrous shine and softness. If you have human hair extensions then this product is a must have saviour for keeping your locks looking fresh! I used to have extensions and it prolonged the lifetime of them, especially when you are applying straighteners or other heat appliances to your locks daily. I am very intrigued and excited by this cleansing bar. 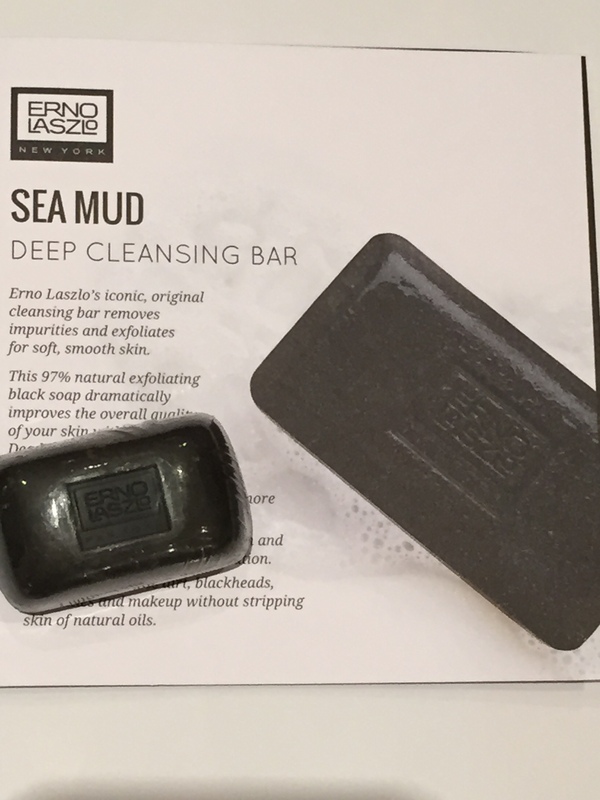 Erno Lazlo’s iconic, original cleansing bar promises to remove impurities whilst exfoliating for soft, smooth skin. It is formulated with a blend of 26 different minerals and 97% is made using natural ingredients. Enriched with therapeutic Dead Sea mud, this will detoxify, hydrate and restore skin’s mineral levels whilst also promoting brighter clearer skin and removing blackheads, dirt and impurities. This handy sized travel size is perfect to trial out as the full sized item is slightly pricey. It will last a long time and leaves your skin feeling squeaky clean. I do love Korres products, particularly their lip balms. I’ve trialed out the shower gel which accompanies this body milk so I have high expectations that this product will not disappoint either. 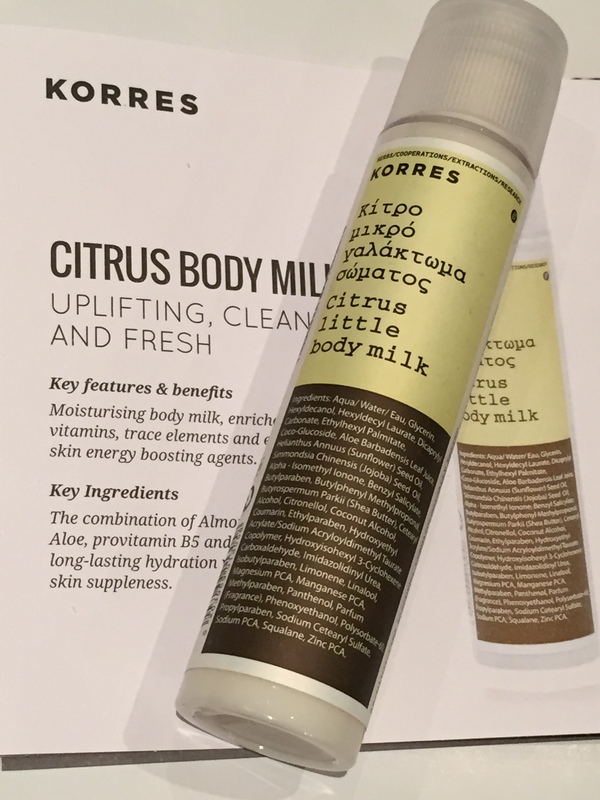 The Korres Citrus body milk has a subtle non overpowering citrus fragrance which is fresh, revitalizing and has an energy boosting formula. The combination of pro-vitamin B5, Shea Butter and Jojoba oil enhances skin suppleness and hydration. It contains Vitamin C and E, zinc and anti-oxidant enzymes to enhance the skin’s immune system which is perfect in the Winter months! Additionally to target any visible signs of ageing, the formula contains collagen and elastin. This wholesome multi-purpose soothing balm is 100% British. The main ingredient, fermented PawPaw, the fruit of the Carica Papaya plant, boasts natural healing qualities and is said to be one of nature’s finest remedies. 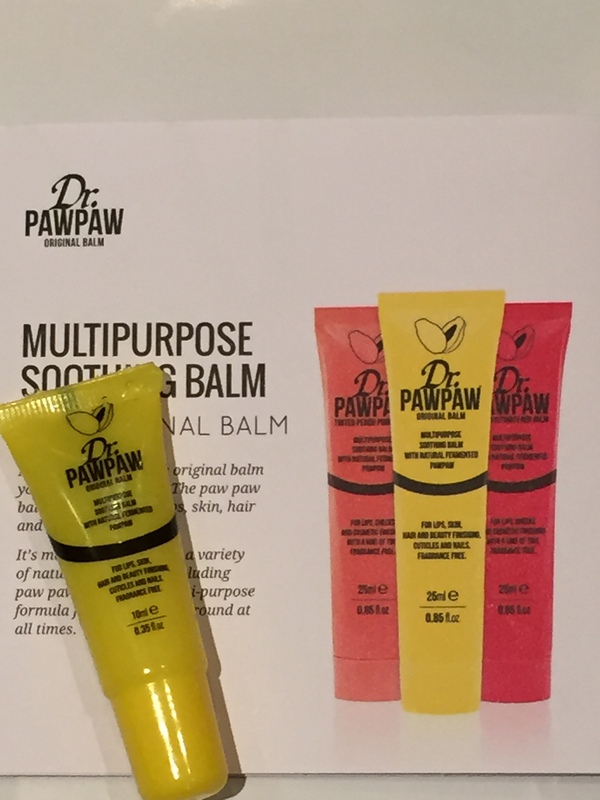 The balm has numerous uses – it can be used as a skin protector, moisturizer, nappy cream, lip balm, cuticle/hair conditioner, cure dry/chapped skin and for sun burn or skin irritations. Other ingredients include Aloe Vera Oil Juice and Olive Oil. The formula is fragrance free and a natural remedy. I have to admit that I’m not a huge fan of Monu and tend to give these away to family and friends. I’ve trialed quite a few of their products, eg the cleanser was like glue and very sticky. At first I thought it was off/out of date but on a second sample I realized that was actually the formula. This primer is not too bad although it wouldn’t make my top 10 primers unfortunately. The brand is an ethical skincare brand who are against animal testing and the products contain no synthetic perfumes or colourants. 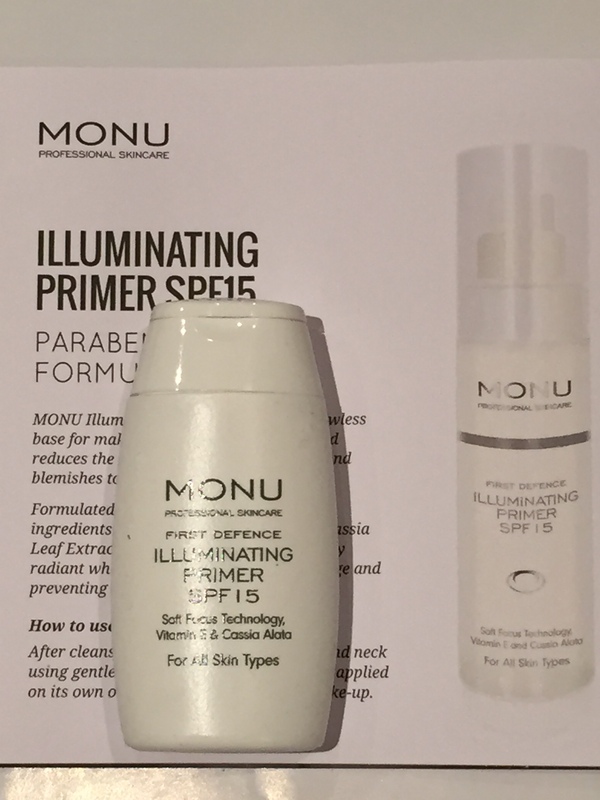 This primer has SPF15 – I would highly recommend skincare with an SPF to protect skin against UV rays because remember even on cloudy days there are harmful rays which can cause wrinkling, premature ageing and ultimately skin cancer. This primer is said to smooth skin and reduce the appearance of imperfections and blemishes whilst creating a lasting radiant glow. It is formulated using a unique blend of active ingredients such as zinc oxide and cassia leaf extract. It is a thick formula with a subtle smell. 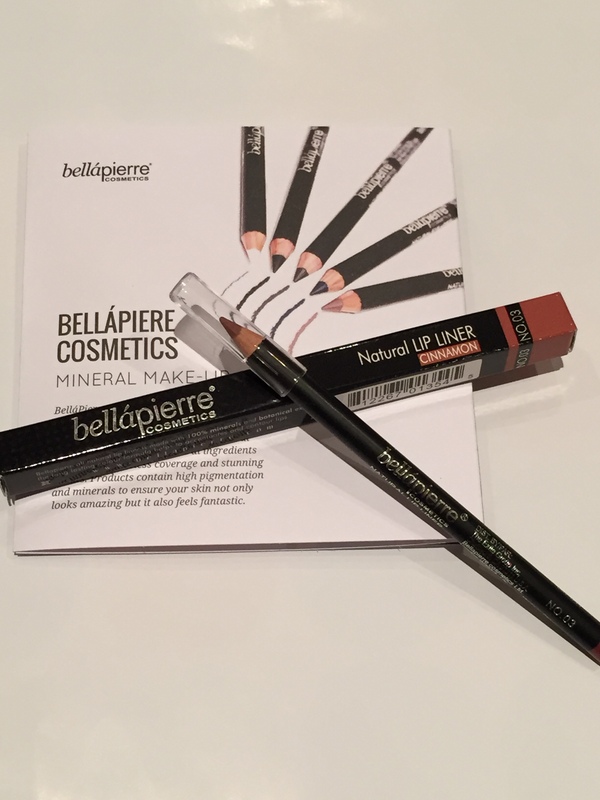 I’ve sampled quite a few Bellapierre cosmetics and have been pleasantly surprised with the quality. I have never seen it instore in the UK however you can purchase from a variety of online stores. The brand is said to be one of the fastest growing mineral make up companies in the world who use only natural ingredients in their products. I received the lip liner in cinnamon. I’m not a huge fan of liner and this colour is slightly too dark for my skin tone – I’m very pale and tend to stick with coral shades. I did however trial out this pencil and it is long lasting so I would maybe look at purchasing a different shade. The box is £15.00 and never fails to disappoint. It is a great way of sampling beauty products from brands that you know and love to those which are new on the scene. The February box is available now and 25 ‘T3 Featherweight 2 Limited Edition Hairdryers’ (worth £155.00) have been added to random boxes. Sadly I was not one of the lucky ones! Let me know what you think of the box!